In what can only be hailed as a stroke of Beyoncé genius, the diva released a self-titled album on iTunes late Thursday night. No promo. No singles. No music videos. Just the album and a short video posted on her official Facebook page. 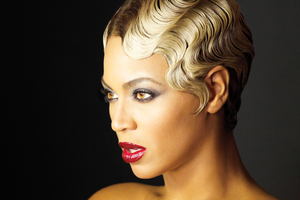 On her official website, Beyoncé bills her opus as a “visual album”, with 17 videos and 14 songs. If you head over to her website, you’ll also see associated photo albums for each track. And there is a documentary for the album too. Once I get a chance to give the album a thorough listening to, I’ll put a full album review together. But in the meantime, let’s take a moment to stand in awe of the Queen Bey. When she said “Bow Down“, she wasn’t playing. Now we all must comply. Can you think of ANYONE else who has the creative juice, professional infrastructure, and planning to be able pull this off? The songstress recorded an entire album (including features from Jay Z, Drake, Frank Ocean, the rest of Destiny’s Child, and daughter Blue Ivy and top producers), shot 17 videos, and designed an entire implementation on her website without one drip of a detail leaking. You just know that every single person associated with this album was under an iron-clad contract that, in the event that you let any information slip, you’d be offered as tribute in your own personal Hunger Games. And she did it all in the midst of taking care of a small child and travelling for her world tour. Say what you want about Beyoncé, but the woman knows how to multitask like a BOSS. All of that is amazing, but the most brilliant part of it all is that Bey has cleared a path to an immensely successful release while also significantly reducing the cost of putting out an album. The album is only available on iTunes. There are no singles and you cannot purchase any single song. It’s the whole album or nothing. By doing no publicity, she has significantly cut the normal cost of an album release. And in being a complete original in the method of the album’s release, she is going to get a deluge of free publicity. I wouldn’t be shocked if she managed to make this a #1 album in its first week. Consider the game officially changed. Well played, Bey. Well played indeed. Are you going to purchase the album? Is Bey sheer brilliance or is she plum nuts? Sound off below! Previous story Bad Boys 3: Sequel Overkill? Timberlake and Thicke: The New Face of R&B and Soul?